1st Vice President: Mark Hoenemeyer, CEO, BayCare Services Inc., Clearwater, FL. 2nd Vice President: Nicole Grubich, Executive Director, West Michigan Shared Hospital Laundry, Grand Rapids, MI. Secretary/Treasurer: Paul Seigel, GM, Kingston Regional Hospital Laundry Inc., Kingston, ON. Past President: Rocco Romeo, CEO of HLS Linen Services Ottawa, ON. U.S. Directors: Raymond A. Zolinski, Michigan Premier Laundry, Saginaw, MI. 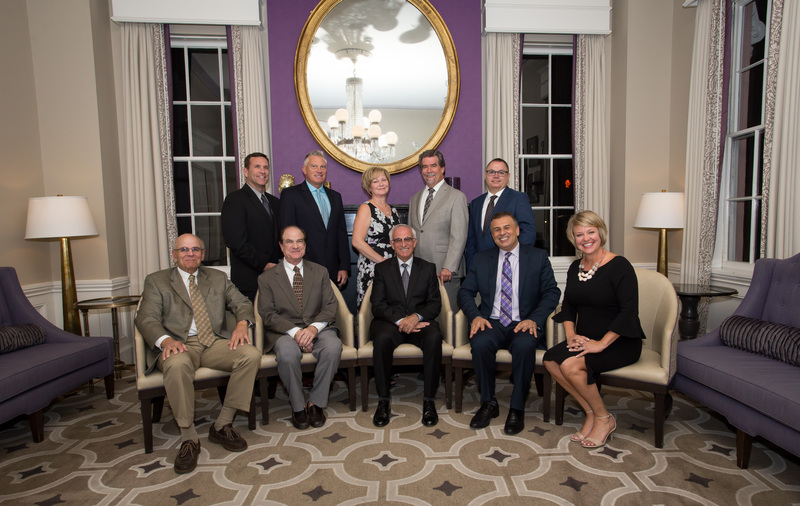 ; and Meredith Bowery, Executive Vice President, Virginia Hospital Laundry Inc., Richmond, VA.
Canadian Directors: Malcolm Pallos, GM, Cumberland Laundry, Cumberland, BC; Terry Watters, Executive Director, Service New Brunswick, Saint John, NB. ; and Raymond Morel, Directeur General, Buanderie Centrale de Montreal Inc. Montreal, QC. Executive Director, Becky Miller, Columbus, OH.